Are you looking for a simple way of streaming music from your Bluetooth enabled device to a portable yet powerful speaker? 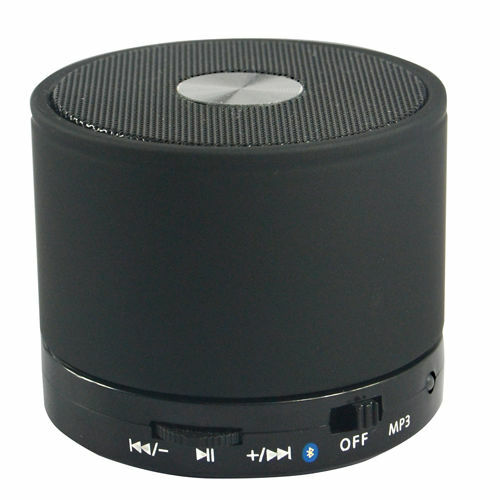 Our portable Bluetooth wireless speaker enables you to wirelessly transmit music from your Bluetooth enabled device and have music anywhere within your home, in your garden or when traveling on your holidays (within 30 metres of your audio device). Portable - Small and light enough to drop into your picnic bag, hand luggage, man bag or even your handbag! Perfect for use in the home, garden, on the beach, picnics and just about anywhere . Great Sounding - Small yet powerful. Having 2 internal drivers and an additional bass driver you'll enjoy the large sound from a deceivingly small package. Rechargeable - No need to worry about batteries, having an integrated high capacity internal battery the portable speaker is easily charged and will give up to 5 hours of continuous use. 2) Pair the speaker with your Bluetooth device. This simple process requires no pairing code and take just a few seconds. Once paired there is no need to do this again. The MicroSD card slot allows you to play music stored on your MicroSD card.